This series is designed for beginning home herbalists who want to feel more confident using self-prescribed herbal medicine for health and wellness. Topics include general principals of home-scale herbalism, tools of the trade, discussion of various forms of herbal medicine, safe and appropriate application, as well as how to make your own high quality herbal preparations at home. An emphasis will be placed on locally available plants with a long history of safe and effective use. These classes are designed as a complete series, building on content from one session to the next. After each class, you will have assignments to deepen your familiarity with the herbs you are most interested in learning more about. Herbal medicine offers an effective, safe, sustainable and joyful alternative to many over-the-counter drugs. How do you confidently use herbs at home for health and wellness? This class will offer a broad overview of home-scale herbalism and provide techniques and guidelines for incrementally expanding your herbal repertoire in a fun, joyful, and safe manner. 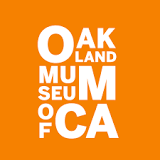 Topics include: introduction to the practice of home-scale herbalism; an introduction to commonly used garden, landscape and kitchen herbs; a discussion of common ailments that are reasonable to treat at home with herbs, and safety issues. 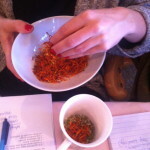 At the end of class, you will have a deeper understanding of home scale herbalism and specific ideas as to how to incorporate more herbal medicine into your daily life. You will also receive a list of trusted references to expand your practice. There are many ways to take medicinal herbs – through tinctures, teas, powders, pills, herb balls, salves, syrups, honey, butters and more. What methods are right for you or your family? 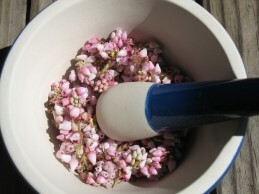 What are good options to have stored in your own herbal pharmacy? In this class, we will review (and sample!) different methods of taking herbal medicine, and discuss issues of: cost effectiveness, convenience, ease of ingestion, potency, and appeal to infants and children. We will also discuss methods appropriate for specific health conditions, and cost-saving DIY alternatives to store bought products. 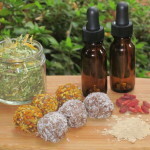 At the end of class we will make immune-boosting herb balls – a delicious and nutritious technique for taking powdered herbs. 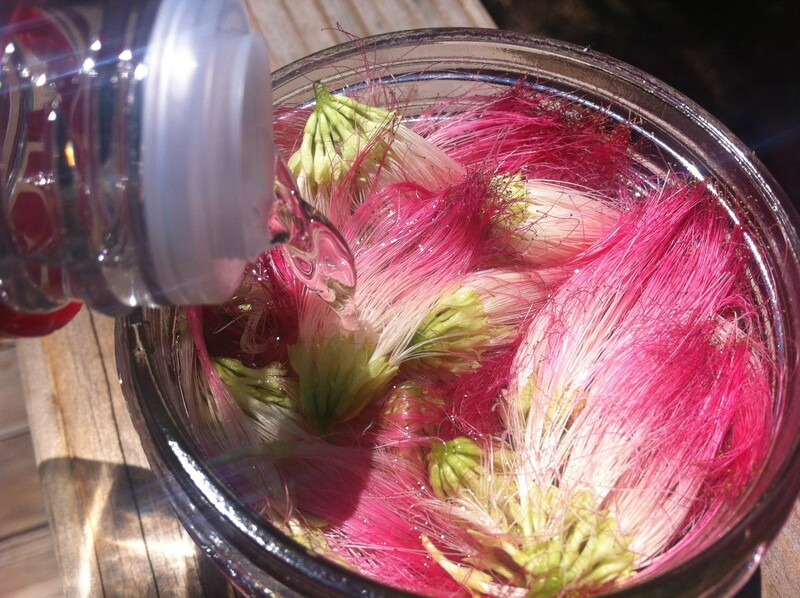 Tinctures are an easy and convenient way to take herbal medicine, especially for people who are on the go. 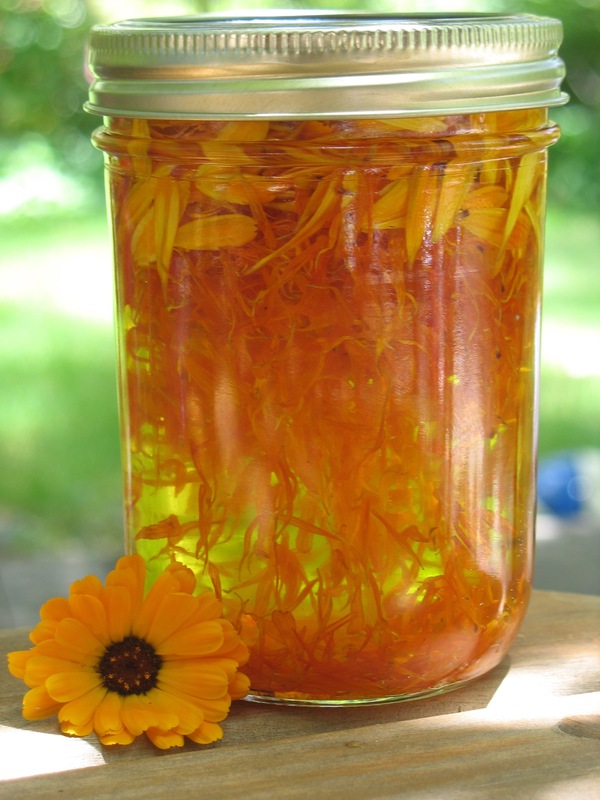 Making your own tinctures at home can be easy – using fresh plants from your own garden or with store bought herbs – and they cost only a small fraction of what you pay at the store. 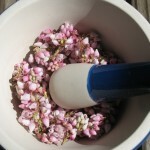 This skill is a great way to economically make herbal medicines at home that last for decades. how to calculate the best percentage of alcohol to use for your desired plant. 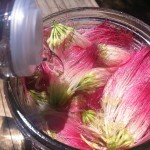 We will also discuss resources for getting herbs, alcohol, and other supplies you may need for your home apothecary. 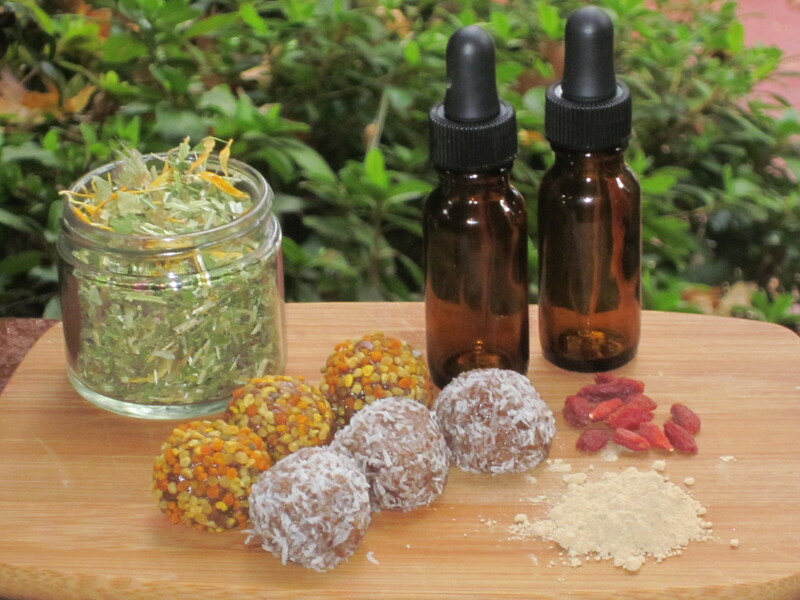 At the end of class, you can make your own 3 ounce tincture to bring home. Please bring a 4 oz jar. 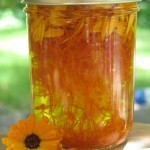 It is easy to make your own medicinal oils and salves at home. As long as you know a few key principles, you can make high quality massage oils, lip balms, skin salves, medicated rubs, and more. various herbal applications for first aid, muscle repair, pain relief, skin repair, infant care, colds, and more. 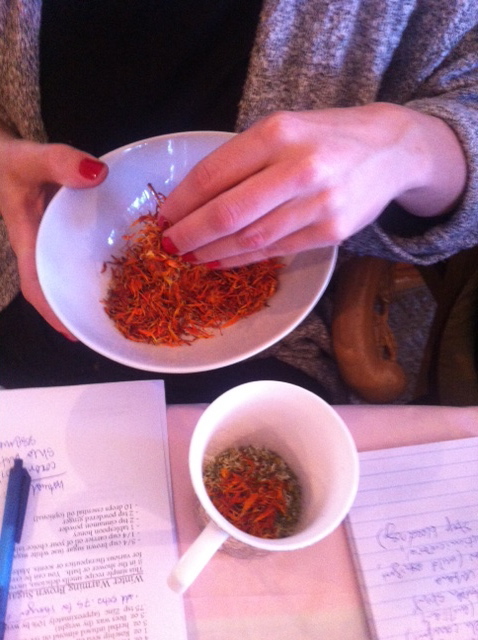 As a class, we will make a healing salve, and each participant will take some home.